History laughs at the notion. English football has witnessed many great club sides and none have swept clean the domestic Treble, let alone thrown in the European title for good measure. 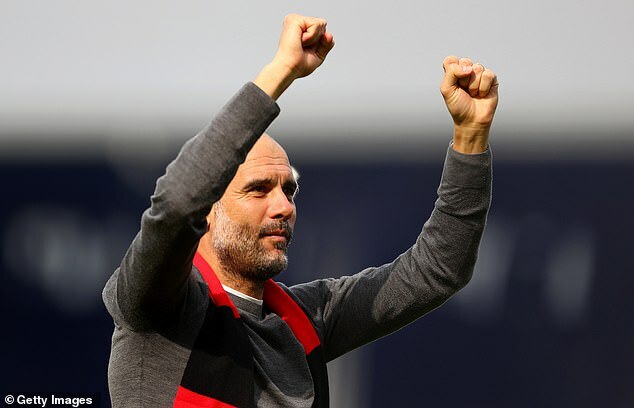 Pep Guardiola, who won all before him with Barcelona 10 years ago, has the FA Community Shield and Carabao Cup in the bag and a twinkle in his eye. 'Go like a machine to win,' he said. 'Don't think too much. I think they are ready. Such are the high standards Manchester City are hitting, they will feel disappointed if they only win one more trophy from here. This month, they play eight games in 25 days. Make even one slip in that gruelling run and their whole season could unravel. Arsenal were in a similar position in 2004. That group is still lauded for going a whole league season unbeaten, but we felt we had underachieved. We should have won more than just the title that season, but were knocked out in the FA Cup semi-finals and the quarter-finals of the Champions League in the space of four days. There are also parallels between this City team and Manchester United’s Treble winners of 1999. United were locked in a battle with Arsenal in the league and the FA Cup. That victory in the Cup semi-final replay gave them the momentum to go all the way to European glory. Last season, no one could match City domestically. Now, Liverpool are pushing them all the way for the title and there is a chance these teams could meet in the Champions League final. To stand a chance of winning the big prizes, these teams are having to reach near perfection. Emerge from this next month unscathed and City will have more than earned anything they achieve. The way they talk, too, suggests City mean business. Asked if City had what it takes to claim three more, midfielder Ilkay Gundogan was in no doubt. 'Yes, we have. I am sure about that,' he said. 'If we did not have the quality, we would not still be in all competitions. That is the main thing.